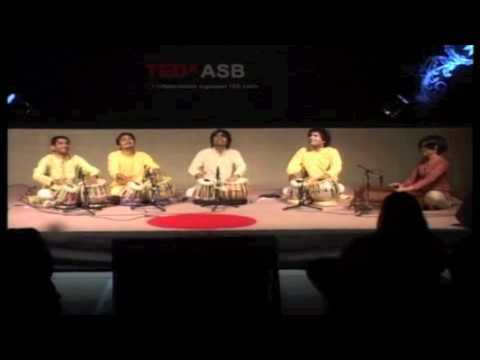 Global ambassadors for Indian percussion, contemporary classical tabla ensemble Talavya is a leading example of tradition and modernity coming together seamlessly. 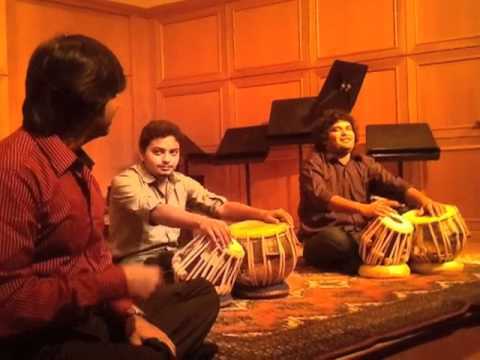 Created by Indian rhythm maestro Pandit Divyang Vakil, the Indian hand-drums tabla comes to the center stage in the hands of the young, highly trained players of Talavya – a tabla ensemble that revels in the tablas’ hidden potency as a rhythmic and melodic instrument capable of expressing just about anything. This high-energy and dynamic percussion ensemble making the centuries-old art form of tabla accessible to all. The intensity and generosity of Talavya keeps to the spirit of Indian classical art, while expanding its palette and its audience. Each performance moves between rousing peaks and slower, smooth meditative passages not usually associated with percussion. It engages the pure sonic energy of Indian traditions, the narrative possibilities of the drum, and the wide-open spaces for improvisation, creativity, and personal expression Indian arts offer. Ambassadors for Indian percussion, Talavya has collaborated with artists such as Mickey Hart (of Grateful Dead), Shakura S’Aida, Sidi Toure and Cuban Fire. As educators, the ensemble has led workshops and residencies across the world. Currently, Talavya performs a work entitled Tabla Ecstasy. 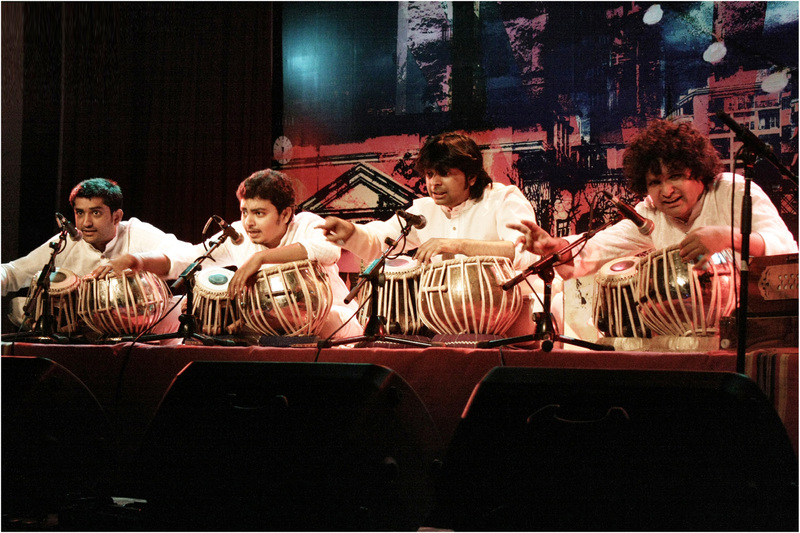 Past ensemble compositions include Tabla Taandav, Tabla Triveni, Tabla Tarkhat, and Ardha Taal Chakra. Talavya were a huge hit at our festival, our audience who was blown away by the groups virtuosity and friendly, accessible performances. I can’t recommend them enough, even to audiences who may not be used to Indian music! Talavya don’t just play Indian classical music, they transcend its dogma, break free off its burden of inertia and bring a vibe of dynamism to the static. They do so without losing their cultural moorings, and holding in reverence their art’s traditions, history and ethos that they’ve inherited. For me, Talavya is evolutionary. They’re taking Indian classical music forward. The group Talavya brought a great combination of talent and professionalism to the INK Conference. They wowed the audience with their engaging and entertaining performance. Fabulous technical expertise, excellent showmanship, and an engaging personality brought scores of new fans to tabla music.